Established more than 200 years ago, The Times continues to lead the market with its quality and depth of its journalism. Advertise your lifestyle products and services in The Times' Weekend classified section using our easy-to-use self service website. 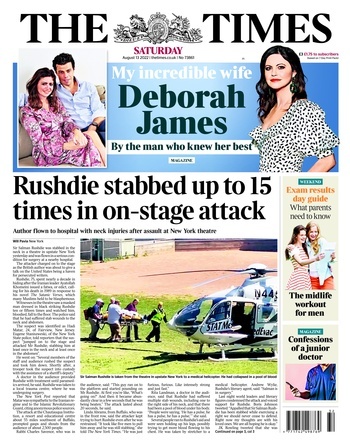 Every Saturday, The Times Weekend provides a host of lifestyle, travel, health and cooking articles. "We always recommend placing adverts into the Sunday Times & Times package to our 'Management Franchise' & 'Higher Investment' franchise clients as it is the ONLY medium that delivers the right profile of reader for these clients. Much as the response may emanate from the clients website it is clear, from the feedback we receive, that these candidates only visited the website AFTER seeing the advert in the Sunday Times & Times"
Over 1000 advertisements are placed in Lifestyle every year.